Aloha! 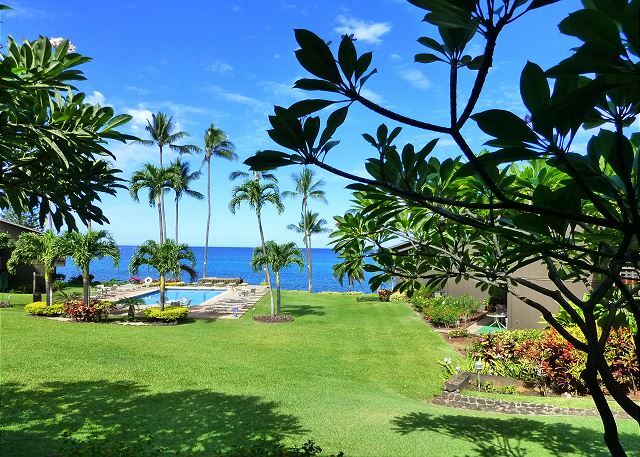 Welcome to Maui’s Best Kept Secret, Mahina Surf #112! Good value. Professional helpful staff. Very clean Enjoyed our stay very much. Our stay at Mahina surf was amazing. We loved the location, ocean front, can’t get much better than that! Our unit was clean, the bed was comfortable (which is a huge issue for me). The staff were all very friendly and helpful. Thanks Sharon for making our stay very memorable. See you next year! We spent 8 days very delightful days at the Mahina Surf. Of course we were aware there was a turtle beach adjacent, but seeing those amazing creatures every afternoon was a joy. The property is so well cared for, everything we could possibly need was available in our unit. Our only complaint, echoed by other guests, was there were no restaurants/taverns within comfortable walking distance. Would we return to this property? APARTMENTS ARE FULLY EQUIPPED TO EXPERTISE STANDARD. COULD NOT ASK FOR A BETTER PLACE. THERE WERE A GROUP OF US STAYING IN THE SAME RESORT AND WE ALL THOUGHT THE SAME. VIEW IS SPECTACULAR, WITHOUT A DOUBT. Our stay was more than great here at Mahina Surf. 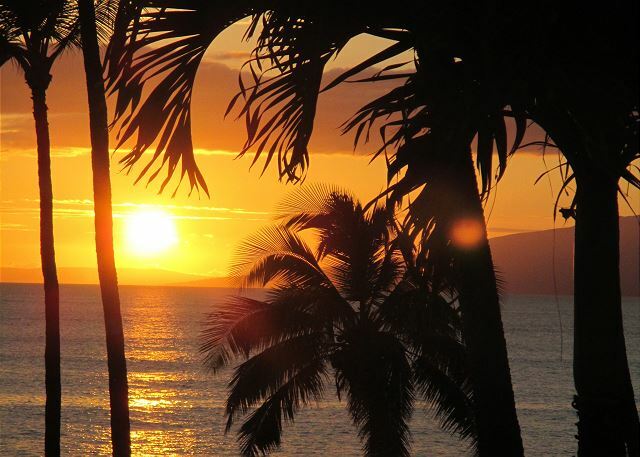 I love the proximity to restaurants, grocery stores, whalers and Lahaina village. The view off the back patio was breathtaking being able to see the sunset looking out the ocean. The check-in process was easy. Sharon* at the front desk was kind, gave us maps, pamphlets and so forth for excursions. I will be coming back in the near future! When we arrived we where very happy to see a beautiful area in respect with nature. Respect with the other lodger. It is a great place to stay and good place for visiting and the best is to snorkel with the green turtles just in front the location. Relaxing,romantic and magical. Thank you for the lovely stay! Have been coming here for 25 years. We were always hesitant about staying in a unit that was next to the parking lot but the view was outstanding and worth the little bit of noise from guests coming in at night. The unit was very well furnished and clean. Sharon in the front office was wonderful as usual. The new resident manager questionable, doesn’t have that Aloha that others have had in the past. All and all another fabulous stay. We had a wonderful stay at Mahina Surf. The location couldn't have been better. We watched whales right from our room. About 20 feet to the north was a little sandy beach cove where the sea turtles come up to sun themselves. It was extremely relaxing and super cool to go sit on the sand with the turtles. The room was very comfortable and clean, and newly remodeled. The only drawback was the fact that there is no air conditioning. We weren't too warm with the windows open, but everyone could hear each other. The place was very quiet after 10 though, so it didn't cause a problem. I would stay there again. 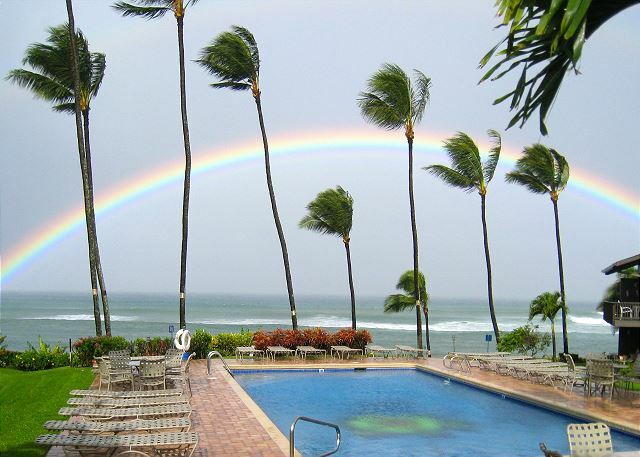 We had a wonderful stay at the Mahina Surf. Everything listed about Unit 112 and Mahina Surf was accurate. Check is was easy, the unit was clean, and the location was perfect. And we experienced a pleasant surprise with 3 coolers for our use in the closet, as well as ice packs, snorkel gear, binoculars, a boogey board, noodles, 3 beach towels, and 2 beach chairs. The oceanfront here is rocky, but we consider that a plus since that means there is nobody in front of the property. Less traffic should equal less chance of your unit getting broken into. Plus you can just walk down on the rocks to the public beach about 1/4 mile to the north. We saw many turtles each and every day beached up on the sand/rocks out front too. 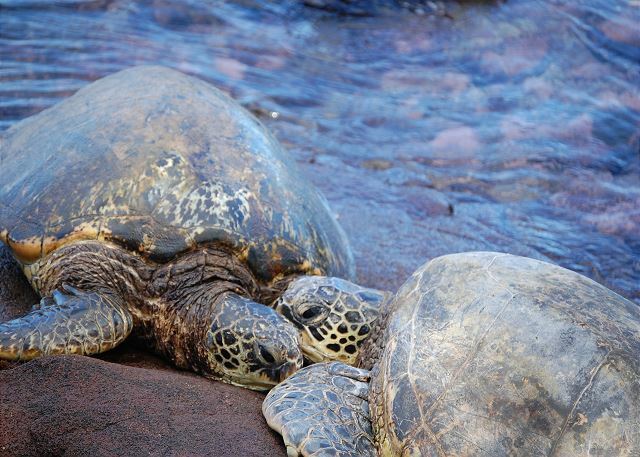 Just remember to stay away as it is frowned upon to get too close to sea turtles. Of course it is we are happy to report we never turned the TV on. But in this day and age we did use the wifi on the IPADS to read the news and play around.